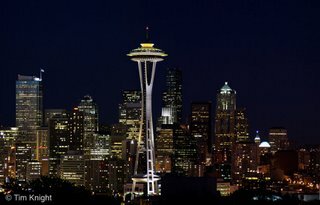 I have returned from Seattle, and PMI put on another great global congress. I'm reenergized about my profession and the opportunities available for Project Managers. If you haven't attended a PMI Global Conference I would strongly suggest you try to attend the next one in 2007 in Atlanta, GA.
One of the things I'm trying to focus on this year is doing a better job of managing project change. Remember, project management is really about controlling change. As project managers we need to control change in order to control our project's scope. If we don't do a good job of controlling change our project will get off track quickly. Develop a good change management process during project initiation, and utilize it throughout your project. Changes in your project are inevitable, but controlling change is the responsibility of the project manager. Are you in control of your project's change? 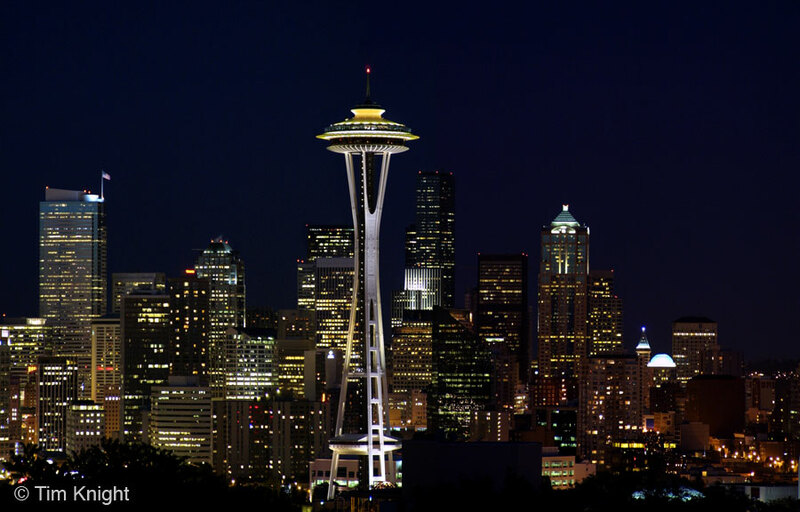 I'm headed to Seattle for the annual PMI Global Congress. I always enjoy this conference because I'm able to see the latest products the vendors have, and always learn a lot from the various presentations. I have really been busy this week. I'm in the final stages of implementing an Asset/Work Management system for our IT group and the challenges have been a bit overwhelming at times. I long for the days when I had a strong sponsor and some level of commitment from all stakeholders. I work in a very challenging environment where Earned Value and IT Project Management aren't always highly valued. I have learned in my current environment that results aren't always as important as managing perceptions. I have always believed as Project Managers we should be judged equally on what I call the PCA Triangle. At the top of the triangle is a "P" for Process. On the bottom right is "C" for Communication, and at the bottom left is "R" for Results. Remember I said we "should" be measured equally in regards to our overall performance. Some organizations focus mainly on results when evaluating projects and project managers. This is a big mistake. If I manage a project and make everyone mad, don't communicate up, down, and across the organization, but deliver the project on time and on budget did I succeed? What if the scope wasn't properly captured due to poor communications and lack of process? Will people really embrace the project's deliverables? Will they project even be accepted? Results are important, but the process you use to get the results and the way you communicate along the way are just as important. One of the things that hurt project teams most is the lack of an enterprise (executive) focus and oversight regarding the management of projects. It takes discipline to manage projects, and enterprise project discipline is lacking when executives are disinterested or disengaged. Great organizations (not project managers) manage projects well, and in doing so they have employees with higher morale, they get better project results, and implement projects faster with higher quality. So why don't more organizations keep closer tabs on their projects at the enterprise level? Some would say the executives are too busy strategizing, and the projects are running just fine without their oversight. I think people that say this are fooling themselves and have little to no project management discipline. The data is clear that projects are delivered faster, cheaper, and with higher quality when projects results are reviewed by the enterprise (executives). Disconnected, disinterested, and unengaged leadership is unacceptable in any organization. Undisciplined organizations have high turnover, low employee morale, and poor project results. These organizations cheat their investors and customers by not providing the highest level of service possible. Highly disciplined organizations make and keep commitments, manage to clearly stated and measurable goals, and have executives that are engaged and visibly participate in the oversight of projects and day-to-day operations. If you aren't visible, your aren't relevant. If you aren't relevant, you aren't needed. Leadership is action, not position - Donald H. McGannon. This has been around for quite some time. I thought it was worth posting here for people that haven't read it. Very profound, very true, very sad. We've learned to rush, but not to wait. We build more computers to hold more information, to produce morec opies than ever, but we communicate less and less. These are the times of fast foods and slow digestion, big men and small character, steep profits and shallow relationships.